Bauer Kompressoren has introduced its new online gas measurement system, B-Detection Plus, which monitors the quality of the breathing air produced. The new system is available in two versions: Plus i, fully integrated into the compressor system, and the standalone Plus for wall mounting. Compliance with the limit values of the DIN EN 12021:2014 Breathing Air Standard can be monitored at all times by checking the display of the B-CONTROL MICRO compressor control unit. The system measures the oxygen, CO and CO2 content of the air, with optional measurement of absolute humidity and residual oil (VOCs) in compliance with Breathing Air Standard. When limit values are exceeded, the unit displays a visual warning and shuts down the system before contaminated air can pass into the cylinders being filled. Any infringements of limit values are logged by the B-Control Micro system control unit and can easily be exported as an excel file using a standard SD card. Measurement uses high-quality smart sensors with continuous self-check function, ensuring users can rely on the accuracy of the measurement results. An optional humidity membrane can be added to maximise sensor life. 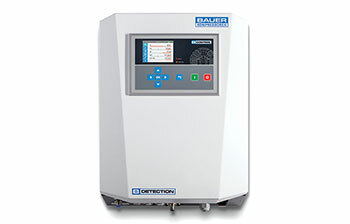 Bauer’s B-Detection Plus provides operators with the maximum-security concerning health and legal liability issues. 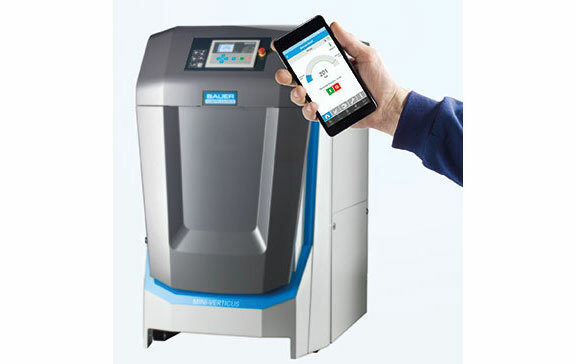 Meanwhile, the new Bauer APP1 communicates with one’s compressor system using WiFi. It provides simple, direct remote access to functions of the high-performance B-Control Micro compressor control unit. The app transforms the smartphone into an at-a-glance monitoring device for the main system levels, including air quality and final pressure, as well as important maintenance information – a major bonus in convenience and safety! And the integrated calculation tool enables operators to convert units, calculate filter service life with and without B-Kool and determine filling time and condensate volumes. The app includes a direct link to Bauer’s YouTube channel with videos providing practical advice and assistance on a range of servicing topics including replacing filter cartridges or changing oil. The Bauer APP can be downloaded free of charge from the iTunes Store (for iOS) and from Google Play (for Android).